I’ve never actually had an Enchirito from Taco Bell, but my husband loves them. 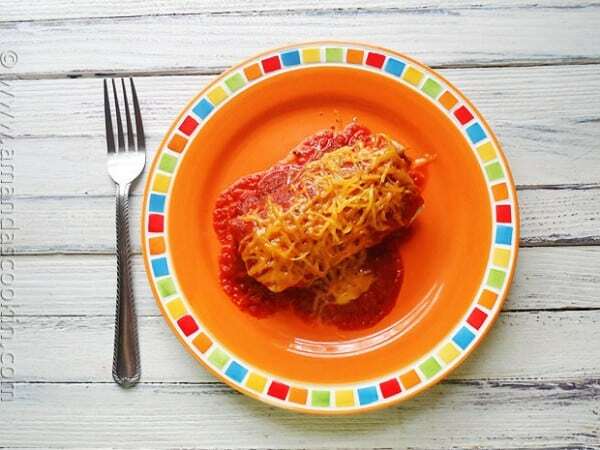 It’s quite simply a burrito and an enchilada in one. He’s been bugging me about making them at home, so I just made a beef and bean burrito and covered it in enchilada sauce. Taco Bell has a picture of their Beef Enchirito on their website. 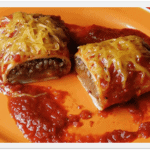 It’s described as “a warm, soft flour tortilla wrapped around seasoned ground beef, hearty beans, diced onions, real cheddar cheese, and tangy red sauce”. 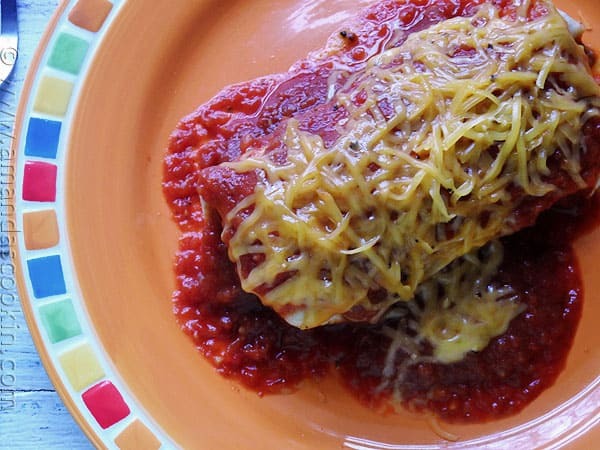 I used my homemade enchilada sauce and my homemade taco seasoning to create this recipe. 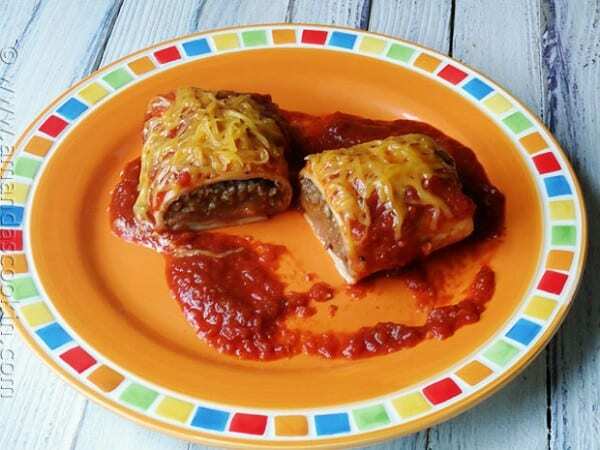 You can certainly use the prepackaged taco seasoning and canned enchilada sauce if you like, or use your own homemade alternatives. Since I’m always looking for ground beef dinner ideas, I decided this would be a good addition that everyone likes! I warmed the tortillas in the microwave, then added a couple tablespoons of prepared taco meat, sprinkled on some diced onion, then finished with 3 tablespoons of refried beans on top. Fold the tortilla burrito style. 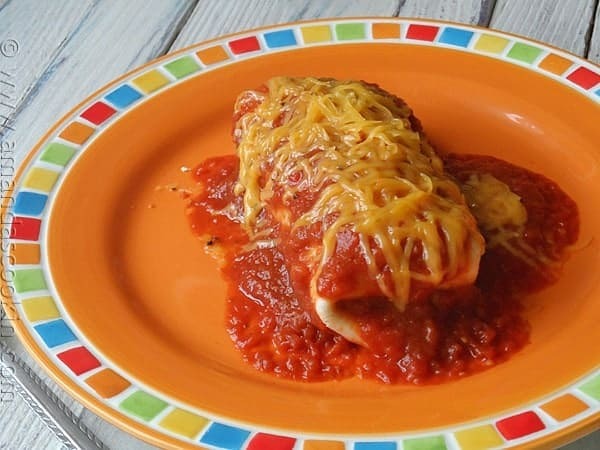 At this point you could add warm enchilada sauce on top and sprinkle with cheese and serve, or you could place all the burritos into a 13×9 baking pan. Top them with the enchilada sauce and shredded cheddar cheese and bake at 350 F for 20 minutes. Taco Bell describes this as “a warm, soft flour tortilla wrapped around seasoned ground beef, hearty beans, diced onions, real cheddar cheese, and tangy red sauce”. Now you can make it at home! Brown the ground beef and drain. Add taco seasoning and 1/2 cup of water. Bring to a boil then turn down to low and simmer 15-20 minutes. Meanwhile, prepare enchilada sauce or empty can of sauce into a saucepan and heat over medium heat. Warm refried beans in the microwave. Warm tortillas in the microwave. Spoon two tablespoons of seasoned beef into the middle of the tortilla. Sprinkle beef with diced onion. Spoon 3 tablespoons of refried beans on top of the beef. 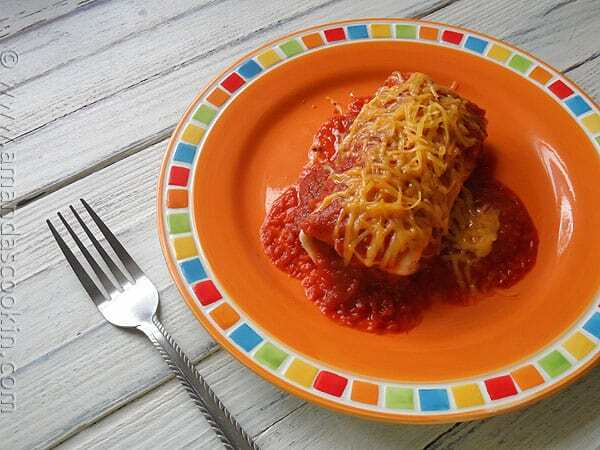 Fold burrito style and top with warm enchilada sauce. 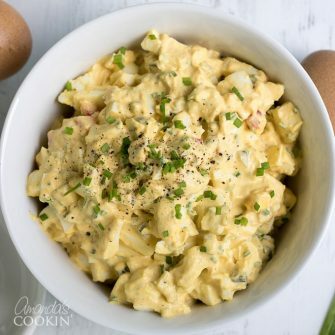 Sprinkle with shredded cheddar cheese. 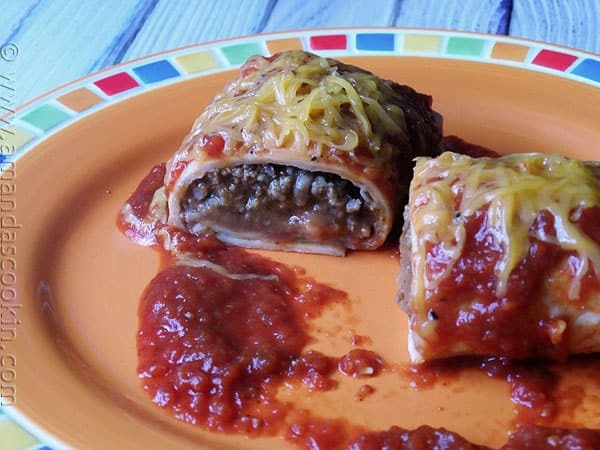 Alternatively, you can place burritos in a 13x9 baking pan, top with enchilada sauce and cheese and bake uncovered for 20 minutes in a 350 F oven, or until cheese is melted. Your site pops three different items that I have to close in order to read your content. Show Notifications, huge email subscribe form, and another video down in the corner. Like your content, but this desire to excessively collect my information is making me not want to come to your site. The Show Notifications and the email subscribe form should not show up on future visits once you close them. The video is automatic. Thanks for your feedback, hope you enjoy the free recipes! Wow! These are better than taco bell. They still serve them here in Minchigan. i remember when they put the olives on them also. Thank you soo much for recipe!